When 45-year-old widower Erwan discovers by accident that the man who raised him isn't his real dad, he begins a search for his biological father. He soon locates the mischievous, 70 something Joseph, whom his mother knew briefly. Erwan falls not only for his charm but that of the impetuous Anna, who has ties to them both. The conflicting familial loyalties soon become compounded by the pregnancy of his own daughter Juliette, who defiantly refuses to name the father. 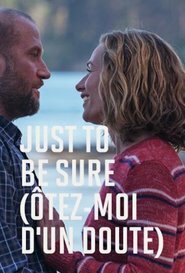 A pleasant French romance but the main stars don’t really seem to have much chemistry. And the plot is pretty contrived. It’s supposed to be a comedy but I didn’t do much laughing. Pretty clichéd and very little subtlety.